Picture books double as an effective language tool. The content of a picture book holds a rich combination of pictures and words. These pages do more than just capture your little one’s attention. It also helps your child form associations between the words and the pictures. This, in turn, helps expand your child’s vocabulary. Other picture books come in more than just one language, so you can use it as a springboard to teach your child to be bi/multilingual at an early age. Picture books teach cause and effect. Not all picture books contain words, but that doesn’t mean they are less effective in developing your child’s mental prowess. Wordless picture books allow children to understand the story in their own way. This teaches your child not only about causation and effect, but it also helps them to follow a sequence and recognize different facial expressions. Picture books encourage imagination and creativity. These characteristics are mostly inspired in wordless picture books. Your child will be the one in charge of interpreting the message that is being conveyed by each picture. This encourages their mind to explore new ideas as they take in details from the first page before they move on to the next. Picture books help develop a sense of awareness. A lot of subjects can be tackled in picture books. Generally, we can see that the common topics discussed in these books revolve around friendship and values. But other picture books also tell stories that explain the concept of life and death or other more complicated matters. The wide variation of topics found in picture books allows children to develop a broader perspective even at a young age. Reading comprehension is one of the most important skills your child has to learn in order to excel in academics (and in adulthood). Each child has their own pace of development, but, there’s nothing wrong with stimulating your little one’s mind at an early age. You can start them at an easy level by showing them wordless picture books, before proceeding to picture books that show shapes, numbers, and letters. Picture books offer a great opportunity for bonding. One of the main goals of a picture book is to teach children that learning is fun. You can shape reading as an activity your child can look forward to by setting up a routine (like in a form of a bedtime story!). You will not only be spending quality time with your kid, but you’re also helping them prepare for the future. 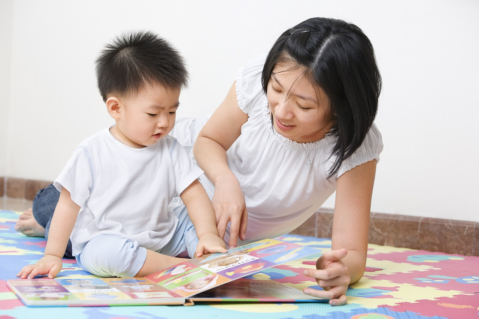 Picture books are great tools that can improve a child’s level of school readiness. But you can increase their preparedness further by enrolling them in child day care centers! Choose Sharon Baptist Head Start. We offer Head Start Pre-K in Bronx, New York, to aid your child and be closer to reaching their dreams. This entry was posted in early education and tagged benefits, Child Care, childhood education, Education. Bookmark the permalink.